Why: The Momentum Conference is Dallas’ largest unconference dedicated to ideas, diversity and the power of community. Historically, February has always been a month of remembrance and reflection as we celebrate the past achievements of African Americans during Black History Month. The Momentum Conference introduces a new February tradition that will not only honor our past but celebrate the future, too. An evening of ideas, conversation and collaboration, the Momentum Conference brings together college students, young professionals and the business community together for an unforgettable event. Each event track will challenge you to ask questions, share ideas and explore new perspectives. Why: Amos Lee will come back to Dallas in support of his critically acclaimed sixth full-length album, Spirit. Why: Cirque du Soleil’s Kurios: Cabinet of Curiosities is a tale in which time comes to a complete stop, transporting the audience inside a fantasy world where everything is possible. In this realm set in the latter half of the 19th century, reality is quite relative indeed as our perception of it is utterly transformed. In his larger-than-life curio cabinet, the Seeker is convinced that there exists a hidden, invisible world – a place where the craziest ideas and the grandest dreams await. A collection of otherworldly characters suddenly steps into his makeshift mechanical world. When the outlandish, benevolent characters turn his world upside down with a touch of poetry and humor in an attempt to ignite the Seeker’s imagination, his curios jump to life one by one before his very eyes. Why: WordSpace will present Dan Savage, media pundit, gay and equal rights activist, author, writer, and syndicated columnist of Savage Love. WordSpace is a nonprofit literary events organization, producing over 50 interdisplinary programs a year citywide. Why: Celebrate all that is Mardi Gras – music, parade and food! Wear your festive greens, purples and golds and collect all the beads you can as the amazing floats pass by during the parade. Visit with your neighbors and stroll the vendor market. Be sure to check out all the entries in the Mask Contest. If you don’t participate in the crawfish eating contest, make sure you are there to watch it. Returning this year, are favorites The N’awlins Gumbo Kings. They will headline the entertainment and have you dancing in the streets. Why: Celebrate Mardi Gras in Oak Cliff with a night of dancing and debauchery. Live music by Ice House, Club Wood and the Kickin’ Brass Band. Your ticket includes a Cajun/Creole Buffet (jambalaya, red beans & rice, muffalettas, King Cake and more) served at 7 p.m. Cash bar will be available. Proceeds from OCarnivale Masquerade Ball benefit the Oak Cliff Mardi Gras Parade. Why: Dallas Arboretum and Botanical Garden presents Dallas Blooms: Flower Power, the Southwest’s largest spring floral festival. Get your groove on in the garden with Peace, Love and Blooms, featuring more than 500,000 spring blooming bulbs, florally decorated topiary VW bugs, and many activities. Why: Get a head start on planning the best summer ever at DFWChild’s Camp Fair. The Camp Fair keep the kids busy while parents and caregivers have the chance to meet face-to-face with local and national camps. The event will feature activities hosted throughout the day, including a special appearance from the Dallas Mavericks mascots, an interactive photo booth experience, create-your-own spin art, and more. The 2017 DFWChild Camp benefits the children and families of Kidd’s Kids. Why: We’re ready to celebrate Mardi Gras at OHB. Join us for live music, beads, booze and crawfish. Mardi Gras entry is FREE, but tickets must be purchased in advance online for the crawfish boil. We will be open from 11 am-6 pm, but the crawfish boil will only take place from 12-3 pm. Why: Texas country music singer William Clark Green comes to the Granada in support of his 2015 album, Ringling Road. Why: It’s time for Mardi Gras in Oak Lawn! This year’s headlining artist is R&B singer-songwriter Blu Cantrell, who is known for her single “Hit ‘Em Up Style (Oops! 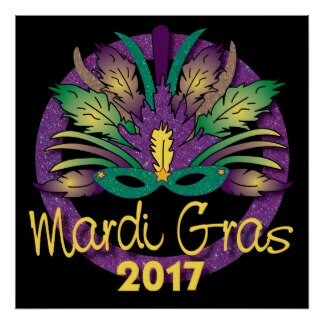 )” Mardi Gras themed events at various bars. Why: Downtown McKinney will be crawling with mischief as the 15th annual Krewe of Barkus Mardi Gras dog parade and festival celebrates our favorite villains. Every good story has a bad guy and this year’s theme, Barkus Gone Bad – A Salute to Our Favorite Villains, encourages our four-legged canines to bust out their ruff side for a barking good time. Why: We will have our own Red Carpet hour starting at 5:30 p.m. There will be prizes for best dressed. We will have Oscar’s Trivia, Ballot Contests, Oscars Bingo, prizes, drink specials and more. There will also be a Grand Prize winner for the Ballot Contest. So get your friends together, get dressed up and come enjoy a great night right here on Greenville Avenue. Why: This annual Oak Cliff Film Festival event features an Oscars pool with rad prizes, including VIP badges to the 2017 Oak Cliff Film Festival, a Texas Theatre gift pack, and more. The event will feature special live sketch performances by House Party Theatre, themed drinks, and a photo booth. Why: Dallas’ own Erykah Badu will celebrate another voyage around the sun with a special birthday concert featuring her band, The Cannabinoids. Why: Come out and enjoy an event of epic proportions as we bring Bourbon Street to Dallas for the 11th annual Texas Size Fat Tuesday. Complimentary admission before 6 p.m. w/ RSVP. 4 DJs, Cajun Style buffet, Mardi Gras Party favors. Why: Bring your masks and beads and celebrates Mardi Gras with great food and drink specials, live music from Club Wood and Woolly Jammeth. No cover. Fat Tuesday Happy Hour from 5:30-9 p.m.
Why: Celebrate Fat Tuesday with live music, crawfish, jambalaya and other New Orleans specialties. This is a family friendly event with face painting and complimentary photo booth. Live music starts at 6 p.m. with Fort Worth singer-songwriter Chris Watson, followed by Austin soul/R&B powerhouse Tameca Jones and her six piece band. Admission is free with an RSVP. Why: This mind-blowing spectacular showcases the jaw dropping talents of seven of the most incredible illusionists on earth. The Illusionists – Live from Broadway has shattered box office records across the globe and dazzles audiences of all ages with a powerful mix of the most outrageous and astonishing acts ever to be seen on stage. Why: Elvis Lives is a multi-media and live musical journey across Elvis’ life. His iconic style, embraced by many of today’s artists, continues to intrigue audiences of all generations. Featuring champions and finalists from Elvis Presley Enterprises’ worldwide Ultimate Elvis Tribute Artist Contest, audiences “Can’t Help Falling In Love” with this phenomenal theatrical concert experience.